A wonderful Minnesota State Fair treat! I had no idea until a couple days ago how easy it is to make at home. 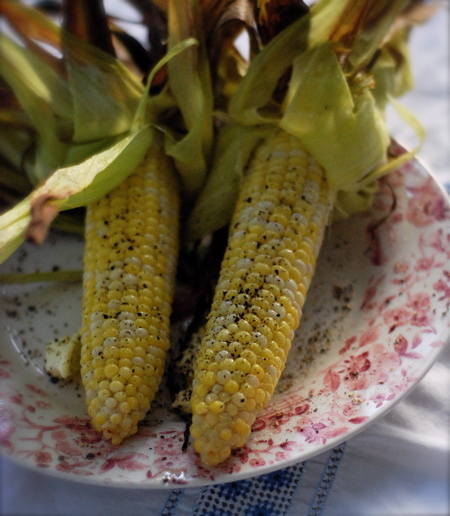 I love it with butter, salt and freshly ground pepper….but you could add fresh herbs to the butter to add more interesting flavors if you’re not a purist like me! 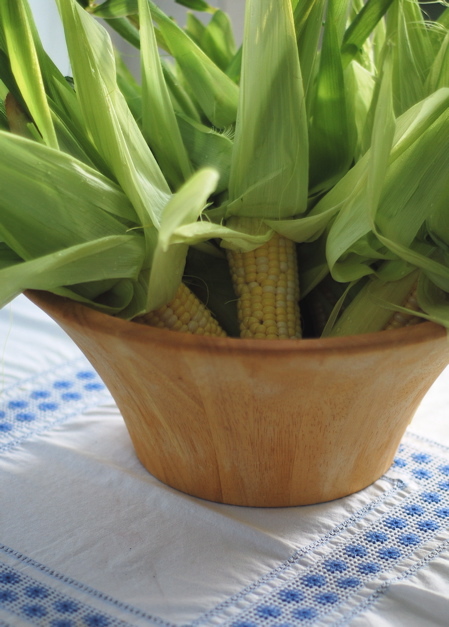 Soak ears of corn, unpeeled, for two hours. After the two hours is up, gently peel back the husks, remove silk, butter liberally (adding fresh herbs if you like) and rewrap in the husks, securing with kitchen twine. 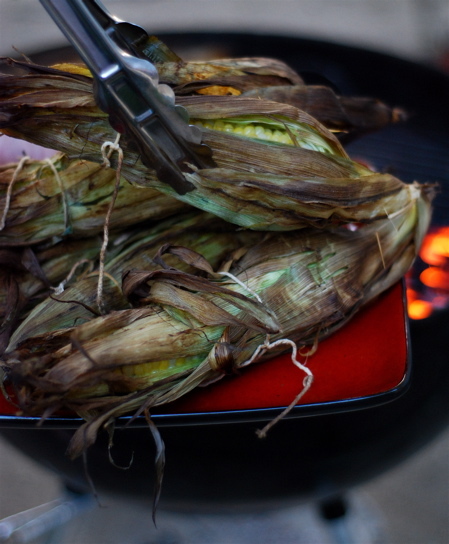 Place corn directly on grill grate. 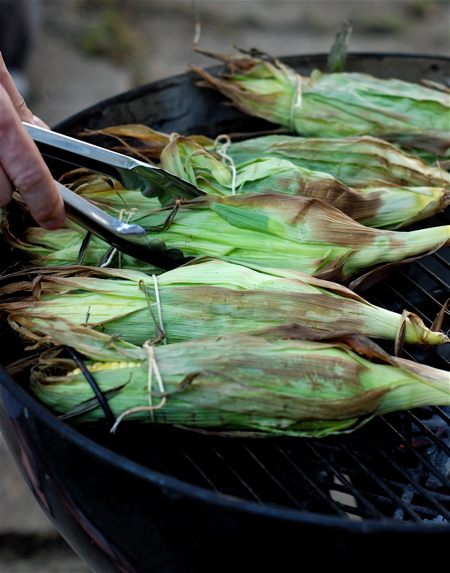 Cover and cook over medium heat, turning occasionally, for 25 minutes or until corn is fork tender. Peel back the husks and grill for a few seconds on each side to get those pretty grill marks and even more of that delicious smoky flavor. Love this Melissa – I didn’t know how easy this was either! THANK YOU! !